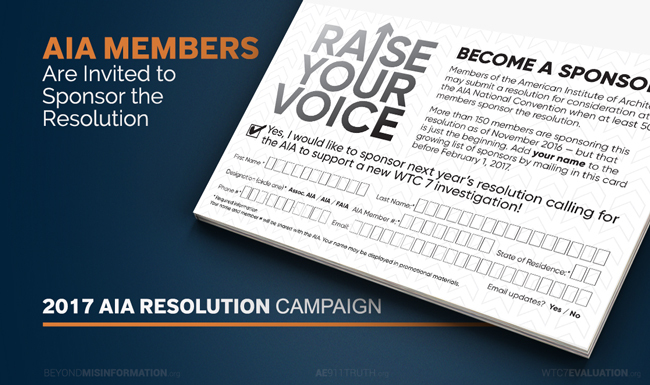 Since July, AE911Truth has been doing grassroots outreach to members of the American Institute of Architects (AIA) in order to build support for our WTC 7 Resolution, which will be voted on at the AIA National Convention next spring. The result of our persistent efforts is that we now have 175 AIA members sponsoring the resolution with two months to go before the submission deadline. That’s almost twice as many as the total number we had last year! Our goal now is to at least double that number by sending our eye-catching campaign mailer to 50,000 AIA members, along with a prepaid business reply card that recipients can mail back to us in order to add their names as sponsors. 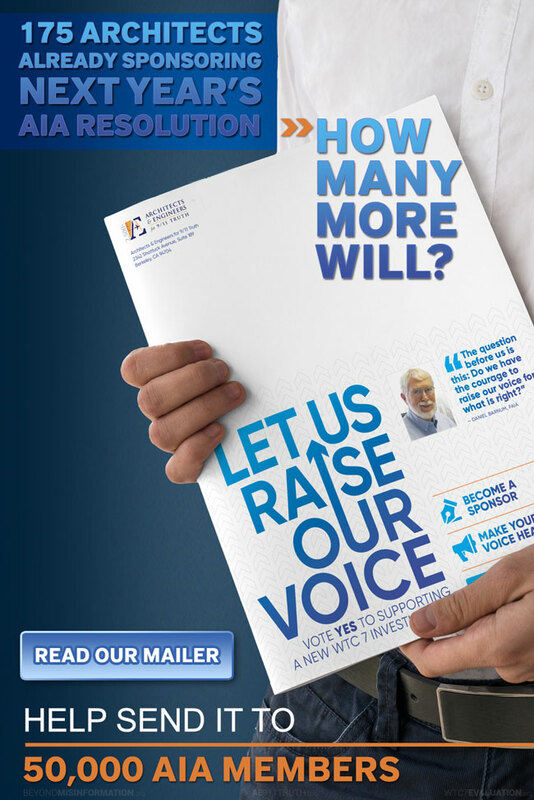 At a cost of $1 per recipient, this mailing campaign is a highly cost-effective investment, considering it will reach nearly 60% of the AIA membership! Please donate by the December 15th deadline if you can. 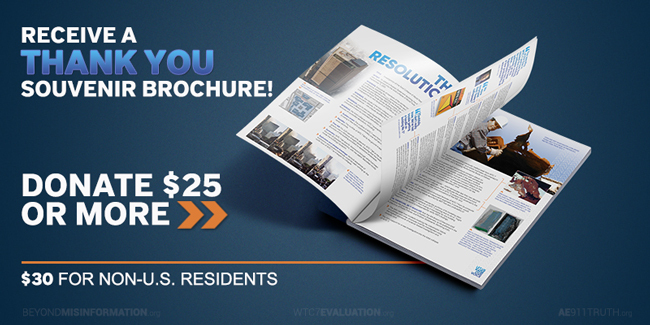 When you give $25 or more ($30 for non-U.S. residents) you’ll receive a souvenir copy in the mail!